My little brother is getting married in four days. 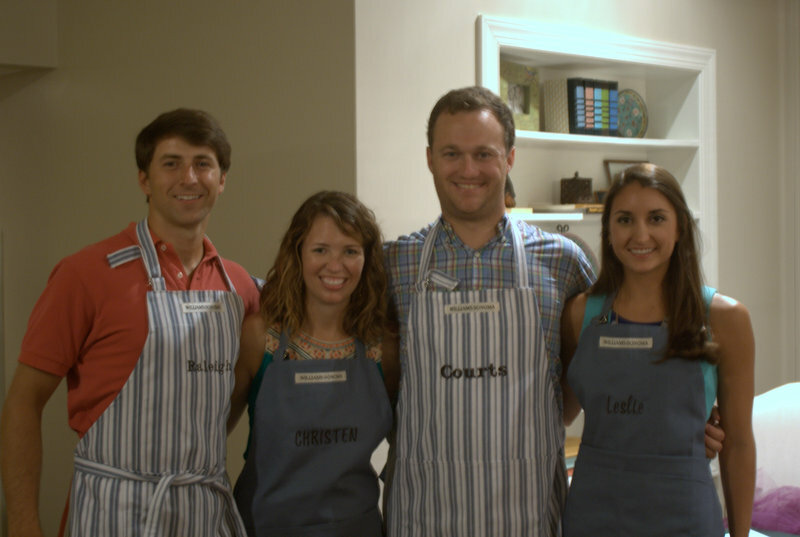 In July, we hosted a couples shower for Courts and Leslie at our house. 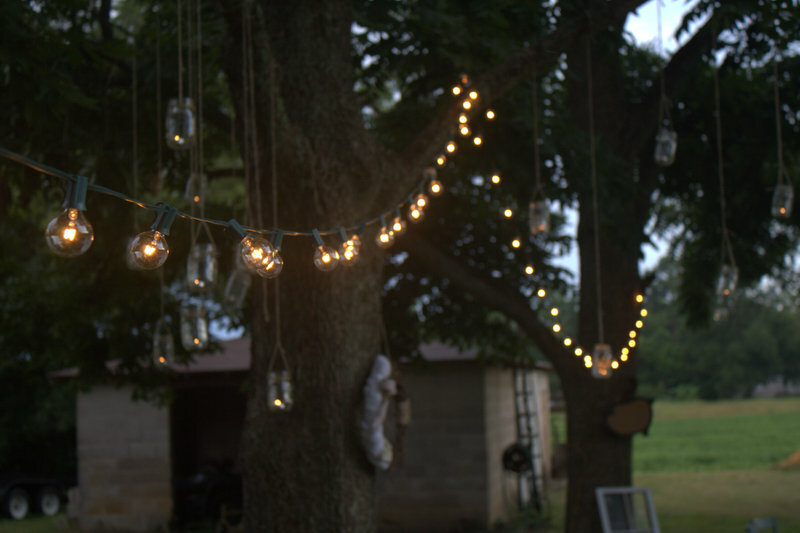 He proposed to Leslie in our backyard last Christmas and I thought it would be special to re-create a romantic atmosphere under the summer sky. 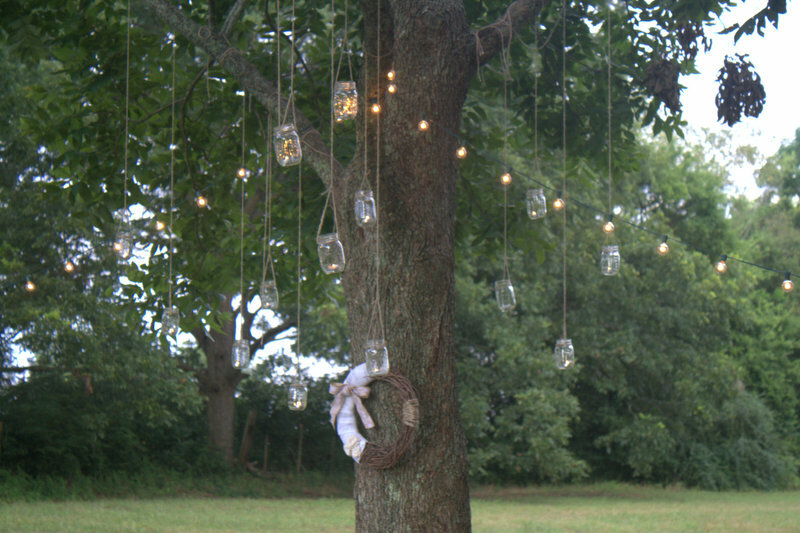 We hung Edison light bulbs and mason jars with tealights in the trees. 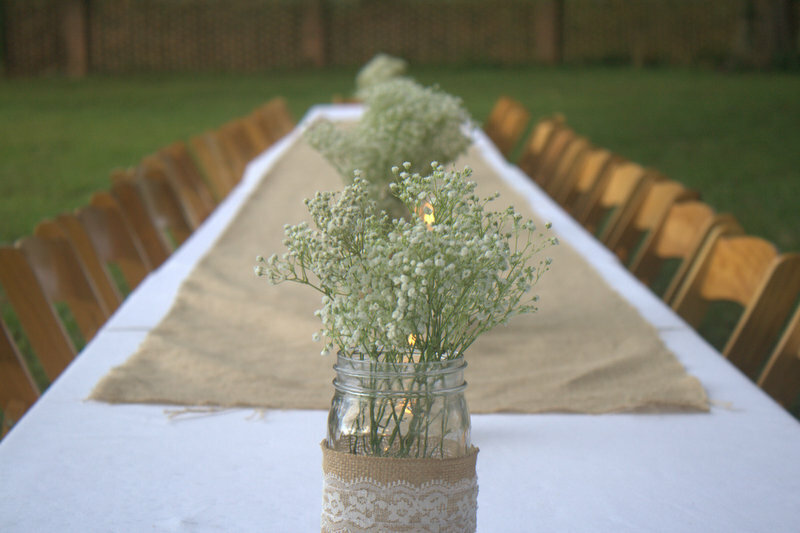 Crisp white linens, burlap, and baby's breath lined a table set up under the stars and a picnic table was filled with a down home spread of barbeque, beans, and hashbrown casserole. 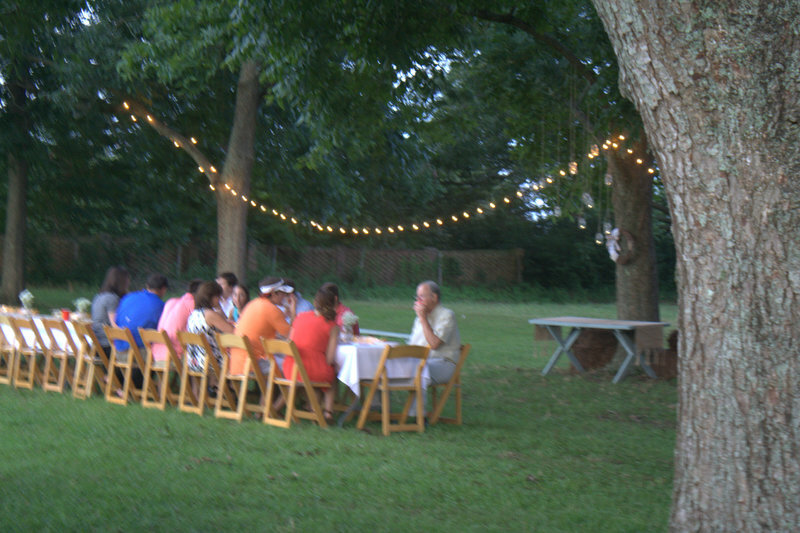 The rain came misting down creating an envelope of humidity just as the guests were arriving. We had known this was a possibility but I was determined to beat the rain because I wanted the party to be outside. We had worked so hard, everything was beautiful but nothing was going according to my stubborn plan. In last minute defeat, we moved the party indoors. 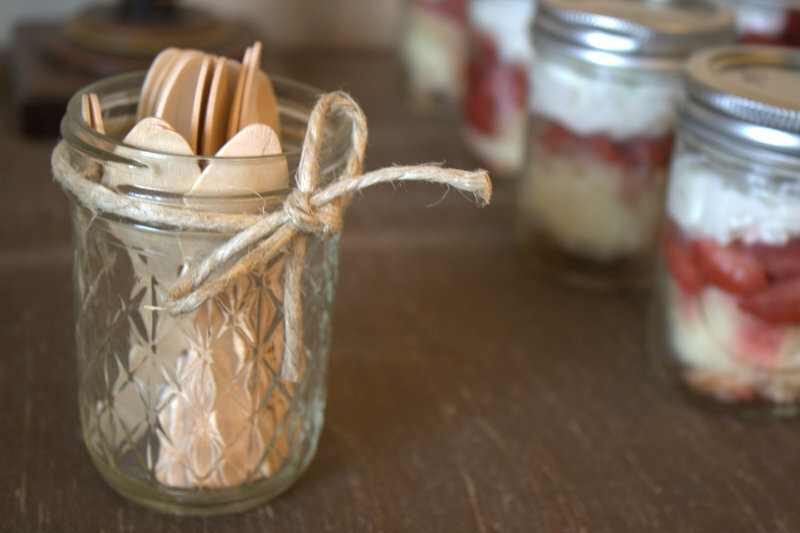 I'd like to say that I was the perfect hostess just going with the flow but I was the exact opposite. I was tired and overcome with a sense of failure. I had wanted to give my brother and his fiance the perfect summer engagement party but instead I was turning into one hot mess. 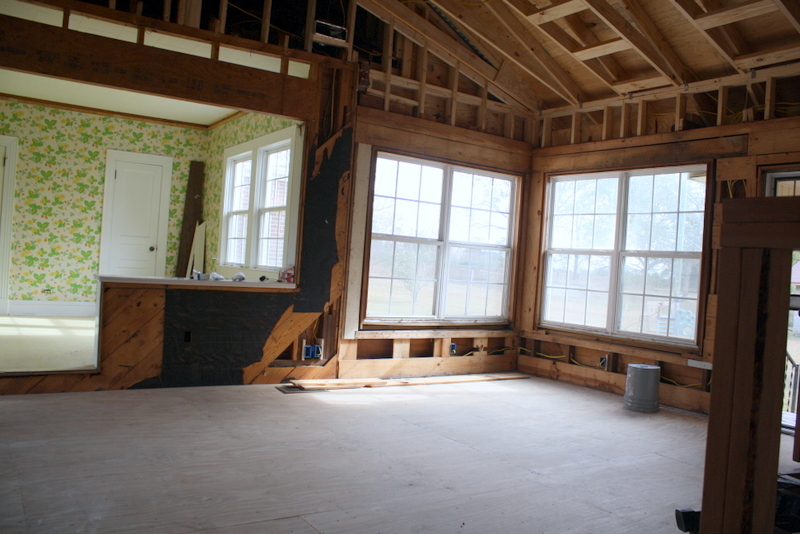 We might have a fully renovated home on the inside but much of the decorating is still very incomplete. If I'm to be honest, I let my fear of pleasing others overwhelm this occasion. I didn't want all of these people inside of my home when it wasn't completely finished. 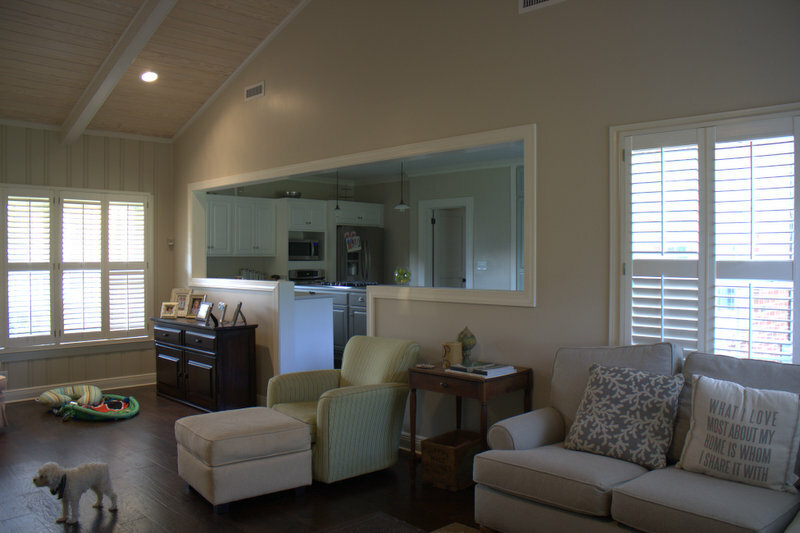 I felt the need to apologize for mix-matched chairs and missing mirrors. I began to see everything that wasn't finished instead of being grateful for what was. I let my idea of perfection get in the way of enjoying the party. In retrospect, it's obvious that the people weren't there for me. Or my house. I was just the hostess that opened the door to her home. Really, everyone who attended the party was there out of their love for Courts and Leslie. Me included. They didn't care that my dining room doesn't have curtains or that my brother opened his gifts in a pink rocking chair. People who truly love you care about you, not your furniture. Do you have a rain plan? Because marriage is not going to be perfect. It's going to be amazingly hard and wonderful and full of choices that you will have to make together again and again and again. You will both have wants and needs and sometimes you get what you want (like a completely decorated home) and sometimes you are reminded to be thankful for having all that you really need. Somewhere down the line, you are both going to get sick and mama isn't within an arms reach and you realize that you've gotta take care of each other. You are going to have experiences that make your heart want to burst and others that make your heart want to break. And it's in these moments when you really don't care if your refrigerator is stainless or not because even though there's a stain on your marriage - something that you didn't see coming and won't go away no matter how hard you try - you are stained together and being together is what matters most. A rain plan isn't defeat to perfection, it's just taking a detour. The longer I've been married, the better I can trust in this alternative route. I don't always give up my plans easily, like with the party, but once I do, I can better see that the detour is still going to get me to where I need to go. And, that I want my husband to be my side. He helps me navigate new territory and calms my nerves when the rain begins to fall. So, to all the Courts and Leslie's out there about to tie the knot, my hope for your marriages is for you all to know that life doesn't always go according to your plans but to trust that there is a bigger plan that you are part of. It's hard to recognize at times but then it will be as clear as a summer day. Take your marriage one step at a time and don't get caught up in trying to please everyone around you. Work on loving one another, figure out how to meet your spouses' needs and work together on what you both want out of life lived together. Don't let the rain get in the way of everlasting love.